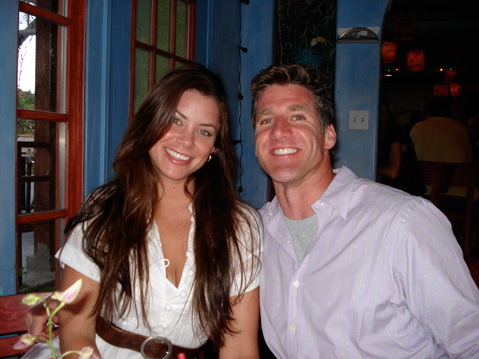 It was two years ago this week that 29-year-old Brittany Maynard took a fatal overdose of barbiturates rather than endure the inevitable excruciations accompanying an aggressive variant of brain cancer that had plagued her for 10 months. What she did, insisted her husband, Dan Diaz, should in no way be regarded as “suicide.” That, he said, was a “pejorative and inflammatory term to evoke fear” deployed by right-to-die-legislation opponents led by the Catholic Church, trying to stop states from adopting measures such as California’s End of Life Option Act, signed into law by Governor Jerry Brown last October. Brown did so only after speaking by phone with Maynard, whose struggle to define the terms of her own demise reactivated California’s long-smoldering right-to-die movement. “It was Brittany’s desire always to live,” Diaz said. “She was in no way suicidal. But she didn’t want to be tortured by her brain tumor to the point she couldn’t see and where the pain medications wouldn’t work. She wanted to be able to look across the room and say ‘I love you.’” Since his wife’s death, Diaz has crisscrossed the country, testifying on behalf of bills similar to California’s. Doing so, he said, has been personally therapeutic. And he had promised his wife he’d work to ensure others with painful terminal illnesses need not leave their home states, as she did, to find relief. Maynard moved from California to Oregon, where physician-assisted death has been legal for nearly 20 years. Five states currently have right-to-die bills on the books. Seven others are looking into it. When he testifies at statehouses, Diaz said, the opposition is invariably polite and civil. But he regularly finds himself on the receiving end of some very icy stares. Three days after Maynard took her fatal overdose, the Vatican’s chief bio-ethicist, Monsignor Ignacio Carrasco de Paula, termed her action “reprehensible,” adding, “The gesture in and of itself should be condemned.” While the leadership of the Catholic Church is vehemently opposed, polling shows that 60 percent of practicing Catholics express support. Diaz was raised Catholic, and the former altar boy still considers himself one. “We don’t believe children of God have to suffer horrifically in order to get into heaven,” he said. In California, health-care providers are scrambling to work out how to implement the new bill. Participation is strictly voluntary, and to date, Sansum Clinic is the only major player in Santa Barbara County to opt in. Cottage Health and the county’s Public Health Department have opted out. Only one Sansum patient, so far, has asked for end-of-life assistance. According to California’s legislation, patients must make the request twice, a second opinion must be rendered by an independent medical professional, and a psychiatric evaluation must be conducted before a prescription can be issued. The new law requires patients to administer the medications — typically 100 Seconal pills — themselves. Diaz highlighted the safeguards written into California’s law, noting it legally bars physicians from administering the fatal dose. That’s in stark contrast to many European countries, where doctors have been blamed for an increase in overall suicide rates. Diaz dismissed fears that laws like California’s could spark a similar increase as “absolute nonsense.” Last year, 212 Oregonians qualified for final prescriptions; 132 utilized them. Those numbers, he said, are typical of the past 20 years. California legislators have long struggled with medically assisted-death issues, and Diaz credits his wife’s traumatic experience for generating the critical mass necessary for political passage. (Santa Barbara’s two Democrats in the statehouse — normally unified — split on this issue, with State Senator Hannah-Beth Jackson an emphatic supporter and Assemblymember Das Williams opposed.) In Oregon, the numbers of terminally ill patients seeking fatal prescriptions has been steadily climbing since 1998 when 24 patients sought medically assisted deaths and 16 got them. In the last year, there were 218 requests and 132 actual terminations. “Brittany was young, she was beautiful, she was full of life,” Diaz said. “She got the issue across.” In addition, Diaz credited a seismic shift in demographics. As baby boomers increasingly confront tough end-of-life choices, he noted, they will resist the prospect of protracted suffering. He suggested there’s been a cultural shift away from the traditional “doctor knows best” attitude and a growing insistence on collaborative partnerships between patients and health-care professionals. While medically assisted-death laws may have limited impact, Diaz said such legislation has intensified public awareness on a broader array of end-of-life decisions. Hospice care, palliative treatment, and the need for advanced care directives have been elevated from the fringes of medical conversation to the mainstream. Dan Diaz will speak Sunday morning at Congregation B’nai B’rith in Santa Barbara. For more information, visit cbbsb.org. Editor’s Note: This story was corrected to indicate that BrittanyMaynard suffered for 10 months from the variant of brain cancer before her death and that she and Gov. Brown did not meet but spoke by phone.